The trailer for Supernatural season 14 episode 12. Cas is dressed like a doctor and trying to talk Dean out of his plan. Dean wants Sam to be with him but no big goodby scenes. Something seems to happen to Sam that has Dean panicked. What do you think? Let us know in the comments or in the discussion thread for episode 12. 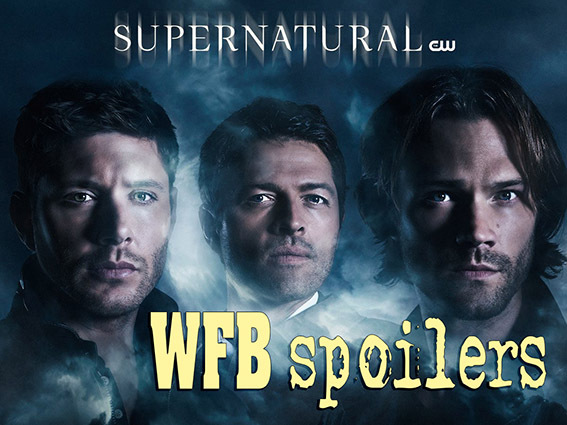 See the spoiler section for more spoilers and the episode 12 discussion page for spoilers, rumors and BTS information..
We have the promotional pictures for Supernatural season 14 episode 12 "Prophet and Loss". We have a sneak peek for this week's Supernatural. Here is the official trailer for Supernatural season 14 episode 11. 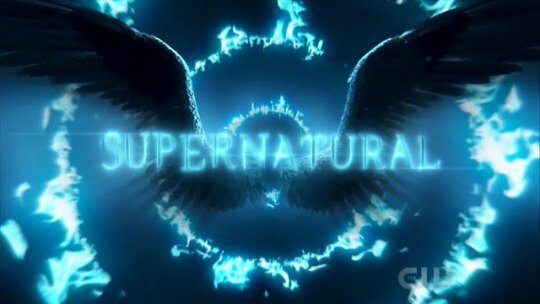 We have the synopsis for the 300th episode of Supernatural! See also Supernatural Episode 300 Makes the Cover of Entertainment Weekly SPOILERS For more spoilers! What do you think? Let us know in the comments and in the discussion thread for episode 13. 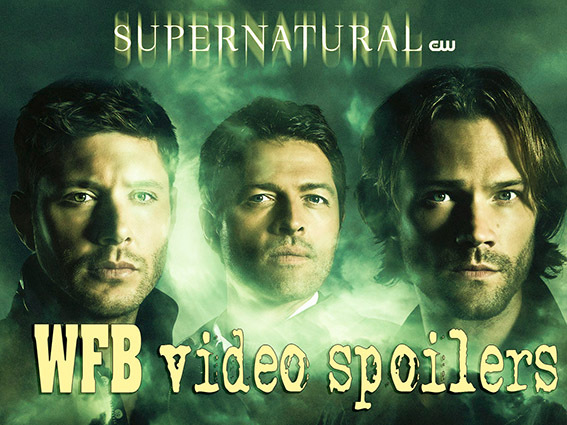 New Supernatural Promo from Shaving People, Punting Things - "Onward"
Shaving People, Punting Things has put out a new promo for the next part of Supernatural season 14. This looks like it covers the next few episodes and looks very intense. What do you think? Tell us in the comments or in the discussion thread for Supernatural season 14 and the discussion threads for episodes 10 and 11. So Donatello is able to affect the world. I guess Cas didn't brain wipe him? How is is scrambling the order to future prophets? What is in Nick's past? let us know in the comments or in the discussion thread for episode 12. We have the synopsis for Supernatural season 14 episode 11. So Dean is back, that's not a surprise. He's bonding with both Mary and Donna. What will they bond over? What unimaginable choice will Sam be forced to make? Will he make the "right" one? Let us know in the comments or in the discussion thread for episode 11. Here are the promotional pictures for Supernatural season 14 episode 10.